-My brother, who has eaten A LOT of my food over the years. I grew up in a small town dominated by barbecue restaurants – indeed, if you know anything about NC Barbecue, you know that Lexington-style ‘cue is in a class all it’s own. But for the times you didn’t want pulled pork, we had a spot downtown called The March Café that was part coffee shop-part café, part fanciest restaurant in town. I worked there part-time as a server through most of high school and whenever I needed the kind of food that felt like a hug, I’d order Chef Ben’s famous pot roast. Somehow, it was always perfect. The meat was fork tender, the gravy just the right thickness and flavor. It was the ultimate comfort food. Several years later, after the café had shut its doors and a craving for that roast couldn’t be satisfied, I reached out to the chef and begged him for his recipe. While he was happy to share his “secrets”, I must confess that my attempt to recreate his magical roast at home fell grossly short. I resigned myself to the reality that I’d never taste that magic again. And then, this November, as the weather turned cold and cravings for comfort food returned, I felt the deep yearning to give pot roast another go. I decided to start with a mostly simple base of aromatics, but also knew I wanted to add in mushrooms (boyfriend loves mushrooms!) and that I was curious about what kind of flavor a darker beer might impart on the gravy. 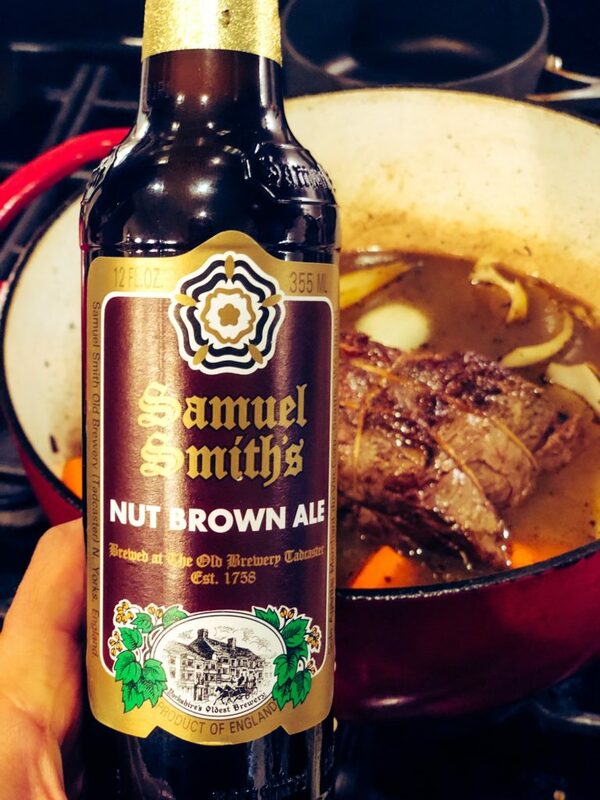 Yes, you should add this nutty and malty brown ale to your pot roast base. So I walked up to my neighborhood bottle shop, Tasty Beverage, and wandered up and down their well-stocked aisles looking for inspiration. After looking at several porters and stouts, I ultimately settled on Samuel Smith’s Nut Brown Ale. I was intrigued by the idea of a nutty flavor, as well as the malted barley in the English ale, and the very helpful salesman assured me that this wasn’t an impossible find (indeed, Total Wine also carries it) and was a pretty standard representation of the genre. An added bonus? It wasn’t too expensive, which is a plus since cooking with super fancy beverages always feels like a betrayal. I was also fresh out of homemade beef stock, but had recently purchased a carton of Bone Broth that provided a combination of chicken, turkey and beef. 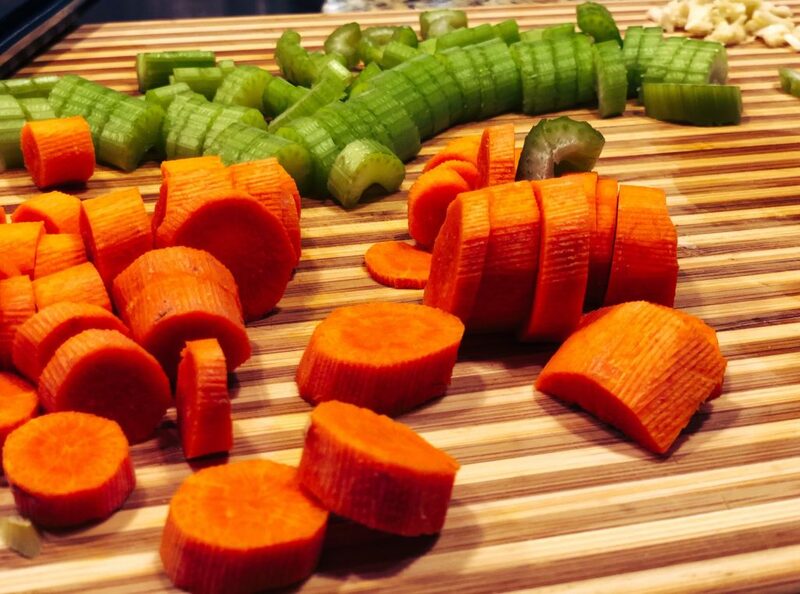 Since variety often means more flavor, this combo bone broth seemed like a great alternative to try! 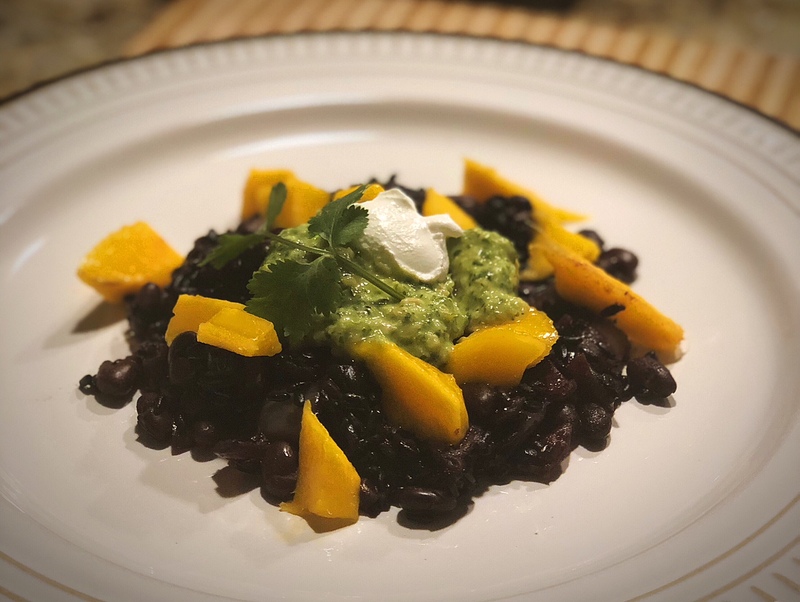 Back at home, there was nothing ground-breaking about my process…I followed a tried-and-true method for building flavor. Season and brown the meat, set aside. Brown the mushrooms, set aside. Sauté the aromatics (onions, celery, carrots, garlic). Add in the broth, the beer, a bay leaf, scrape up the browned bits on the bottom of the Dutch oven (that’s flavor! 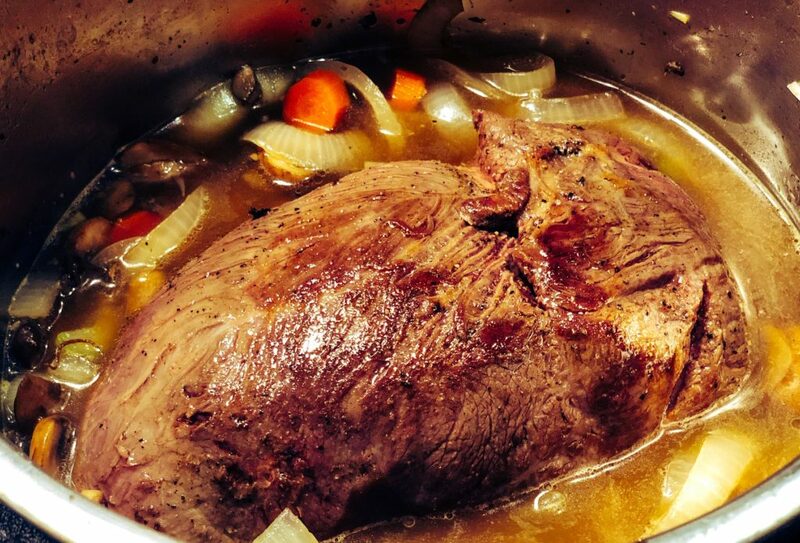 ), nestle the roast back into the pot, and roast at a low temperature for a few hours. Once the meat was cooked through and tender, I pureed the gravy and dipped my spoon in for a taste. 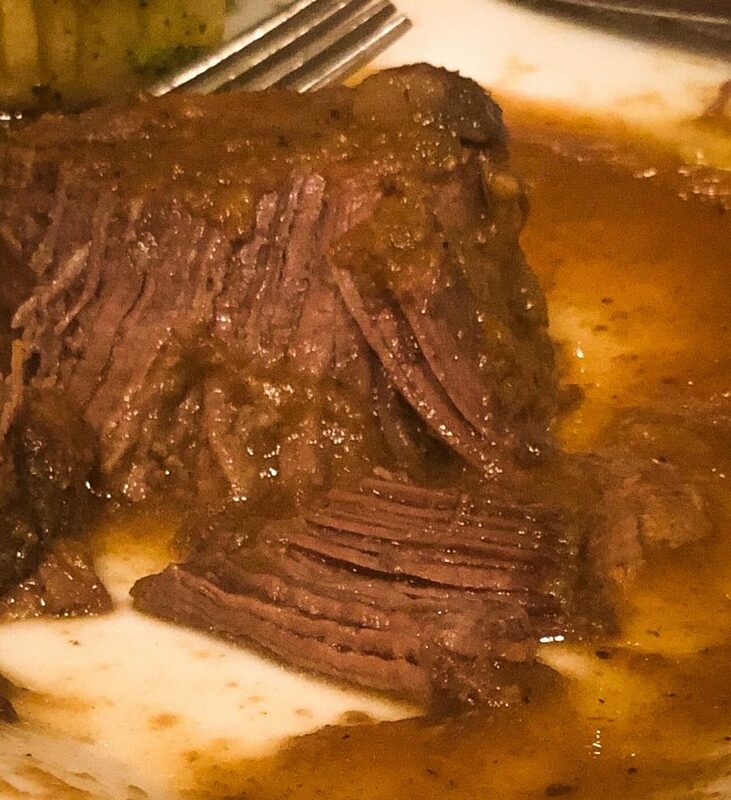 Lo and behold, the memories of that magical pot roast from my high school days flooded back through the receptors of my taste buds and into my belly! While I know Chef Ben took a different approach with his roast, this new concoction still managed to harness that magical comfort I’d been missing for so long. I served the roast that night over buttered noodles (shout out to Julia Child), and the boyfriend was in culinary heaven. 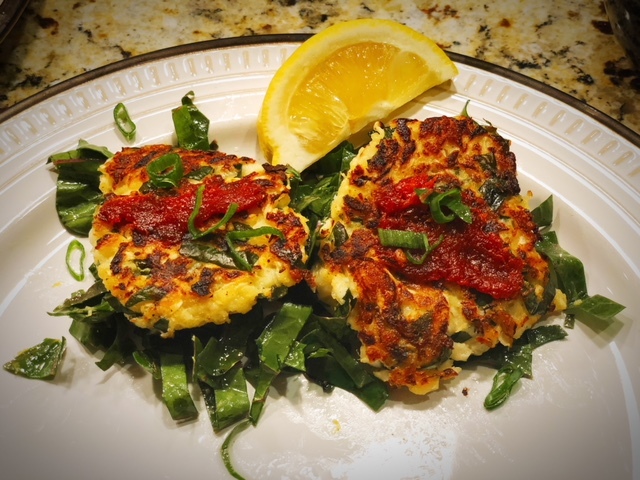 Between bites, he was uttering, “When will this go up on the blog?” and “The world needs to know about this!” Well, after two more test runs to make sure the moment wasn’t fleeting, I’m happy to share this with the world now! 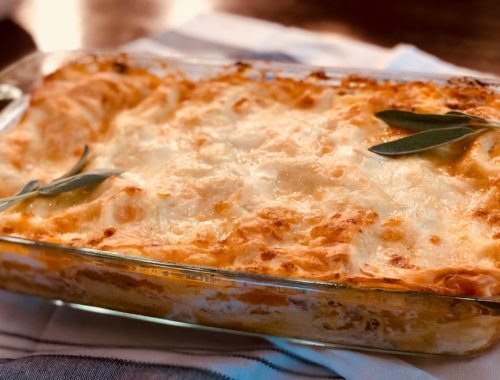 Make this for your family, for someone you love, or for anyone you know that could use a (food) hug! This easy pot roast gets a nutty, malty flavor boost by adding a bottle of brown ale to the gravy. Wash and pat dry beef roast. Season generously all over with salt and pepper. Add oil to bottom of a Dutch oven over medium-high heat. 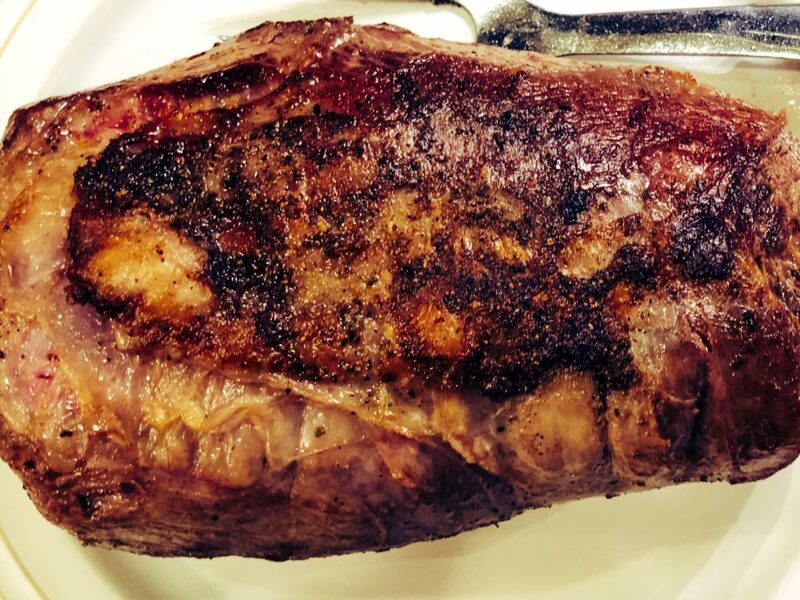 Brown meat, 3-4 minutes each side. Set aside. If mushrooms are not pre-sliced, rub caps with a damp cloth or paper towel to remove any dirt and trim off tough ends of stalks, if necessary. Then slice into 1/4-1/2 inch width. Add mushrooms to Dutch oven, season with salt and pepper. Stir occasionally and brown for 5 minutes, until softened and juices release. Remove from pan and set aside. Add 2 cups bone broth (I like Imagine Bone Broth with the combo of beef, turkey and chicken; plain beef broth or stock would also work), 1 bottle of Nut Brown Ale (again, I prefer Samuel Smith’s Nut Brown Ale but Newcastle also makes a readily available brown ale), and a bay leaf. Stir to combine. Nestle the browned roast into the vegetables and broth, making sure to pour in any juice that collected onto the plate. Cover with lid and place into preheated oven.Roast for 2 1/2 hours. Remove Dutch oven and flip roast, return to oven, covered for 30 minutes. Test with a fork – meat should pull away easily. Remove roast from cooking liquids and tent with foil. Remove bay leaf. Use a spoon to skim some of the fat that has risen to the top of the liquids, if desired. Using an immersion blender, puree until smooth. 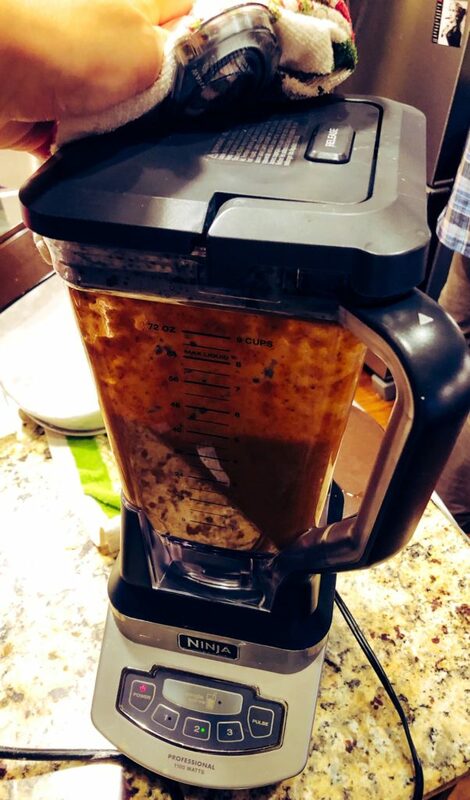 You may also puree gravy in a blender, but remember that hot liquids can explode in a blender, so leave the insert of the lid out and cover the opening with a kitchen towel for blending – this allows steam to escape but keeps the gravy in the blender (See photo in post below). 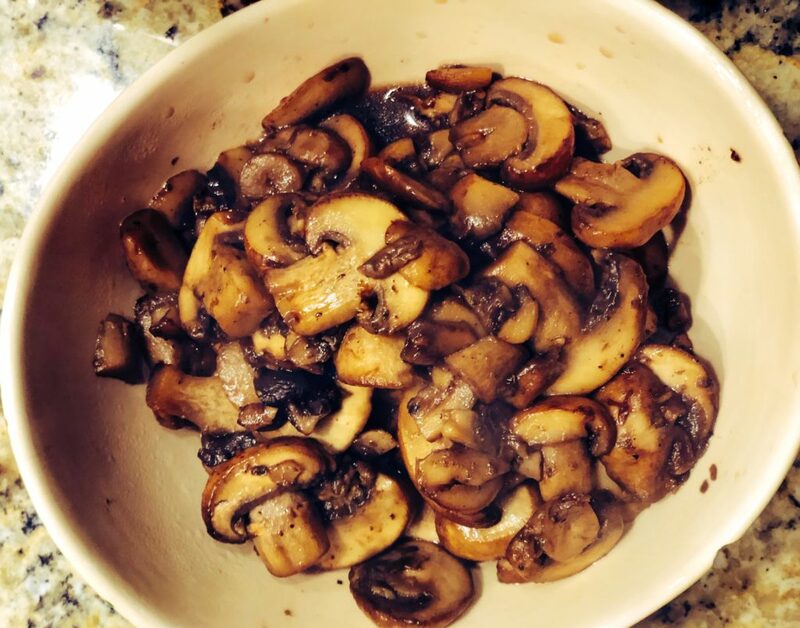 Stir reserved mushrooms, if using, into pureed gravy and set Dutch oven over low-medium heat to warm through. Gravy should be thick enough to coat back of a spoon, but if not, increase the heat and cook a little longer to reduce. Stir in red wine vinegar, taste, and adjust seasonings by adding additional salt, pepper, and red wine vinegar as desired. Return roast to gravy and allow to warm through for 2-3 minutes. At this stage, you can also keep this covered over low heat while other dishes are being finished. Serve and enjoy! This will probably make more gravy than you need, but make it anyway! Save, reheat and serve later over mashed potatoes or buttered noodles. 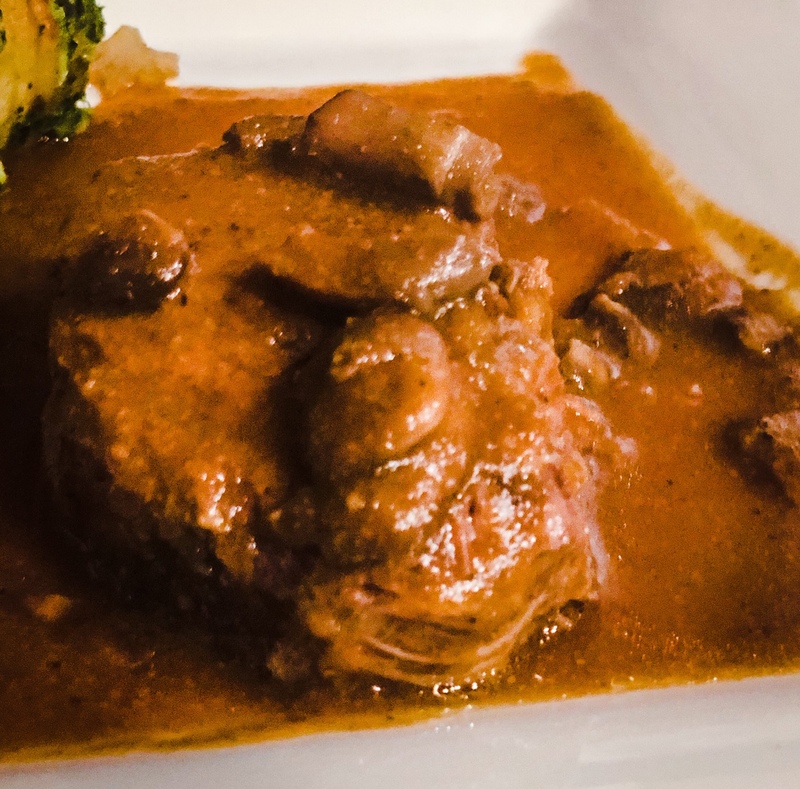 With the higher protein content in the bone broth, the gravy should still be quite filling and nutritious as you stretch this dish into additional meals! Tip: If you puree your gravy in a blender, don’t forget to cover the opening with a damp cloth as you blend – this will allow steam to escape and prevent an explosion!